By MB / August 8, 2016 / News, Watch For It! 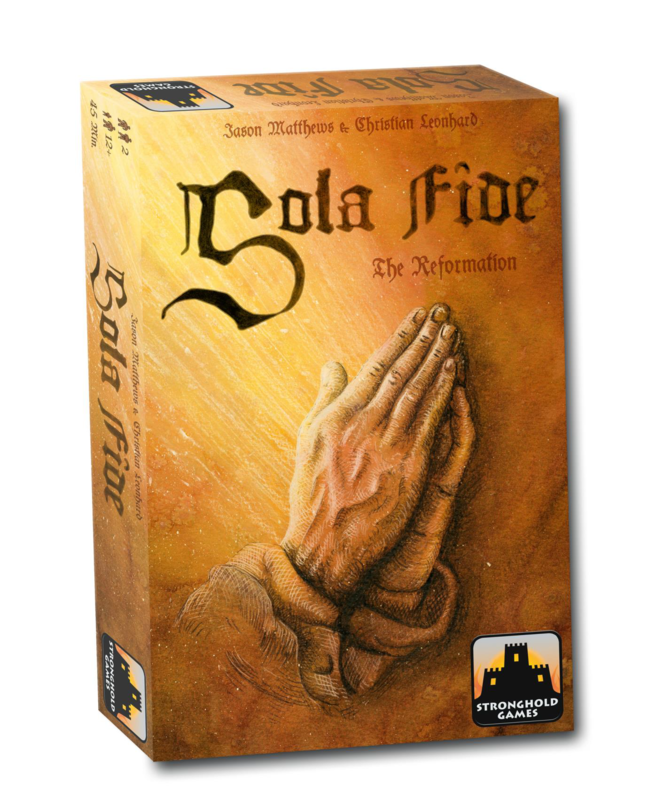 Stronghold Games and Spielworxx are proud to announce jointly the publication of Sola Fide: The Reformation, a game designed by the renowned game design team of Jason Matthews and Christian Leonhard. In Sola Fide: The Reformation, one player takes on the role of the Protestant movement, while the other plays the Catholic establishment. Players attempt to install Reformation in the Holy Roman Empire or try to prevent it, battling the Holy Roman Empire’s Imperial Circles. 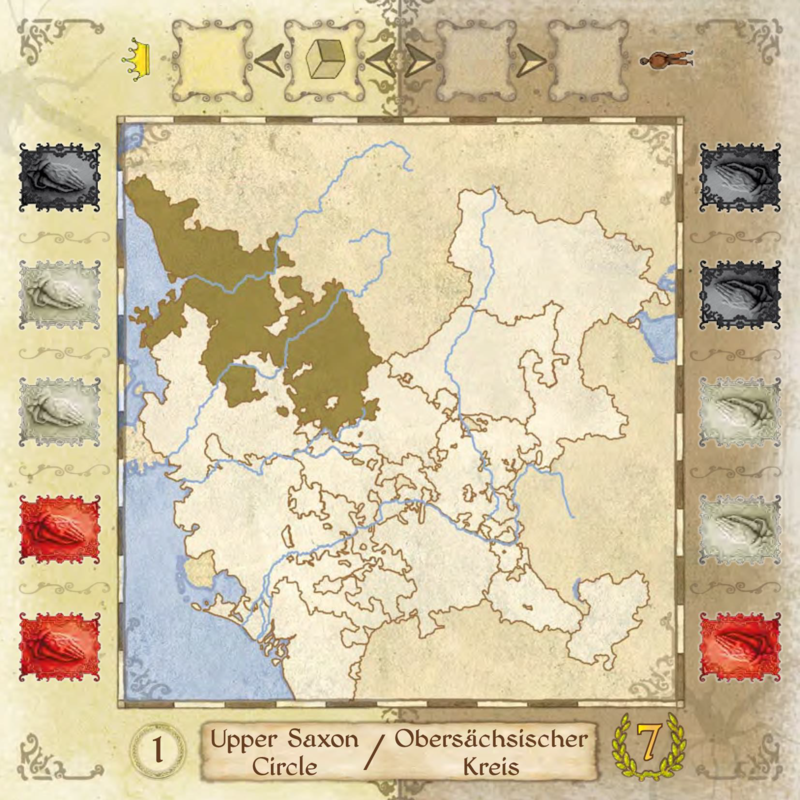 The game does not have a game board per say, but rather has 10 board tiles, each representing one of the Imperial Circles. Via card play, the two players try to win these ten Imperial Circles, each of which are worth 5 or 7 points. The game is for 2-players, ages 12+, and plays in 45 minutes. Sola Fide: The Reformation faithfully tracks the Reformation, which Martin Luther started in 1517 with his “Ninety-Five Theses”. Luther criticized the selling of indulgences and that the Catholic doctrine of the merits of the saints had no foundation in the gospel. The “Protestants” soon incorporated doctrinal changes such as Sola Scriptura (“by scripture alone”) and Sola Fide (“by faith alone”). The changes were not only theological, but also other factors played a role in The Reformation: the rise of nationalism, the Western Schism that eroded people’s faith in the Papacy, the perceived corruption of the Roman Curia, the impact of humanism, and the new learning of the Renaissance that questioned much of traditional thought. The Roman Catholic Church responded with a Counter-Reformation initiated by the Council of Trent. The release of Sola Fide: The Reformation is timed with the 500th Anniversary in 2017 of The Reformation. Stronghold Games and Spielworxx commissioned the great game design team of Jason Matthews and Christian Leonhard to work specifically on this project. Matthews and Leonhard are foremost game design experts on historical games, previously designing 1960: The Making of the President, Founding Fathers, and Campaign Manager 2008. Jason Matthews also co-designed the critically acclaimed 1989: Dawn of Freedom, as well as Twilight Struggle, which is the #2 ranked game on Board Game Geek. The release of Sola Fide: The Reformation continues the strategic partnership between Stronghold Games and Spielworxx, which was announced in December 2014, whereby Stronghold Games and Spielworxx would partner on select game releases. Sola Fide: The Reformation is scheduled for release to the general public in late October/November 2016. The MSRP for this game has not been set at this time. 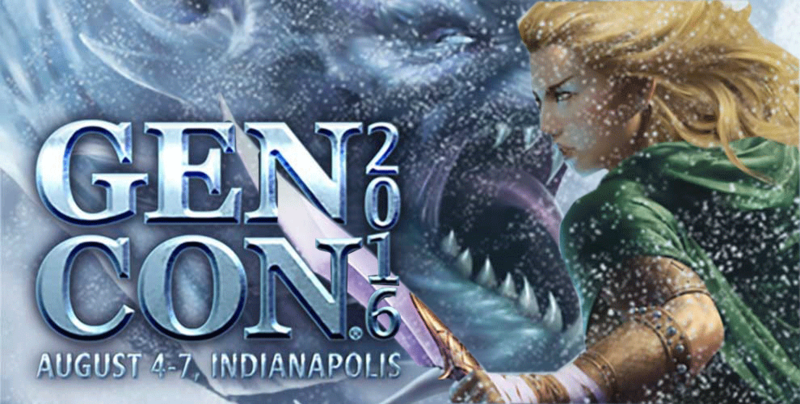 The game will make its debut at the Essen Spiel in Germany in October 2016. Stronghold Games will release Sola Fide: The Reformation as the sixth game in its “The Great Designers Series”, which highlights games from the best game designers in the world.